The holiday season is upon us and finding a great gift for the beer lover in your life can be a bit tricky, especially if you are not a beer person. 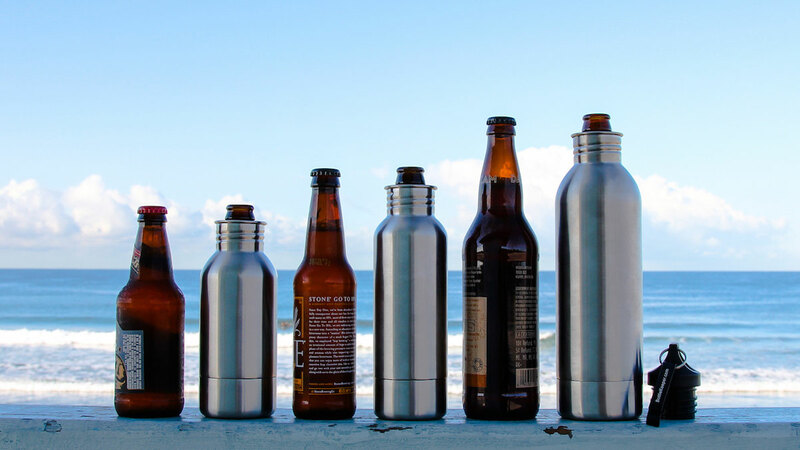 We recently got our hands on a BottleKeeper which is a stainless steel container for your beer that protects the bottle from falls and keeps your beer cold for longer. Simply slip the bottle in through the bottom then screw on the bottom. The cap even has a built-in bottle opener. You can pick this gift up for a low as $34.99 for a standard to around $39.99 for their largest size. Pretty cool, right? It's not just a stainless steel container, there is a lot more than meets the eye. The powder coating gives it a sleek design and enhances durability. It is insulated to keep your beer cold and comes with a tethered cap to reseal your open beer. As we mentioned, the cap also has a built-in bottle opener for extra convenience. Here is another video of the BottleKeeper in action! ***This article contains affiliate links. We make a small commission from any sales through our affiliate links, which helps keep the lights on for us. Thanks for your support.